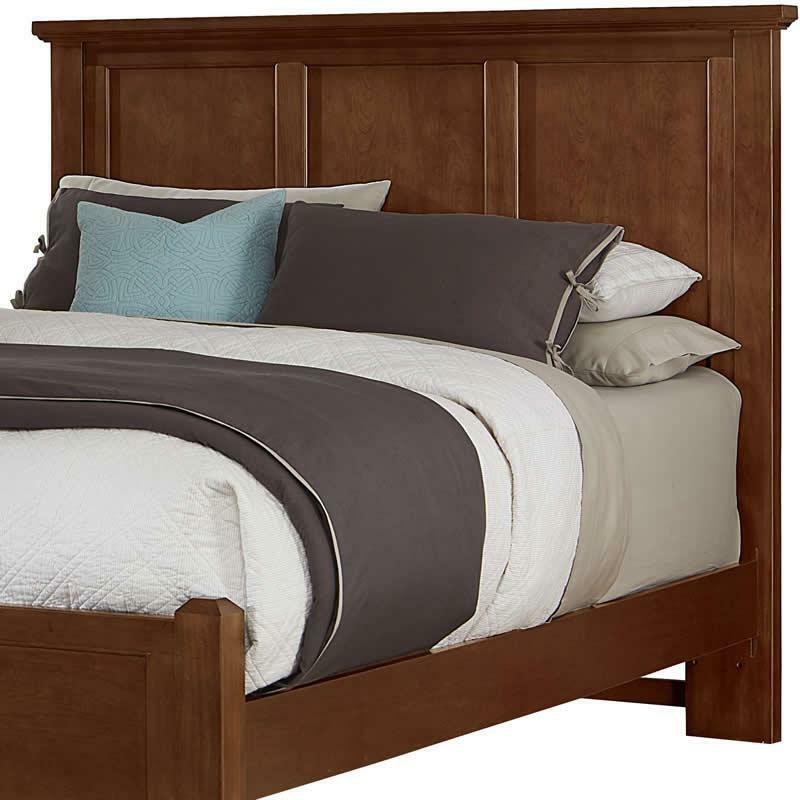 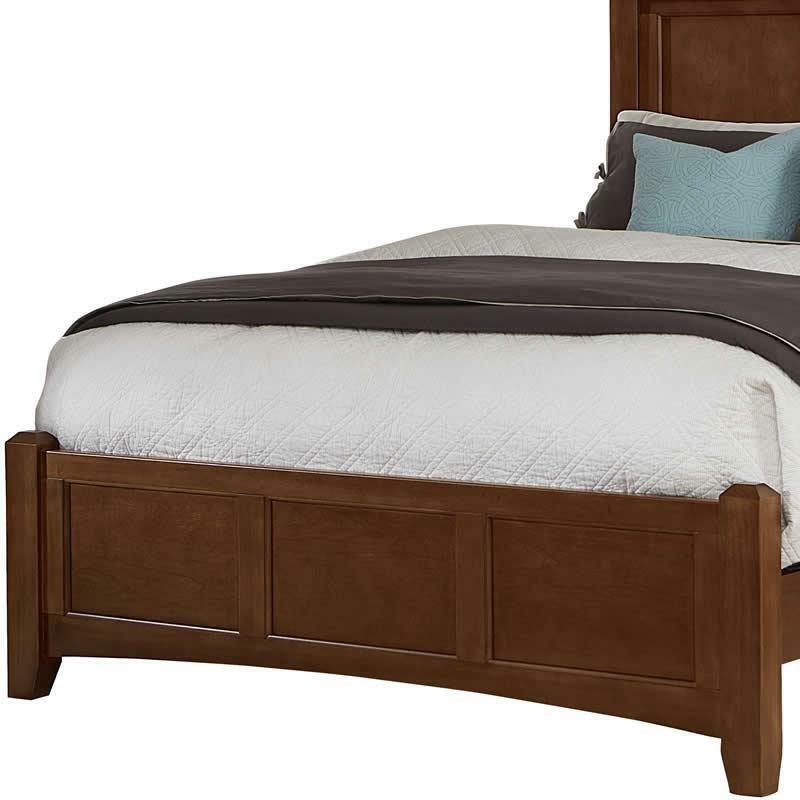 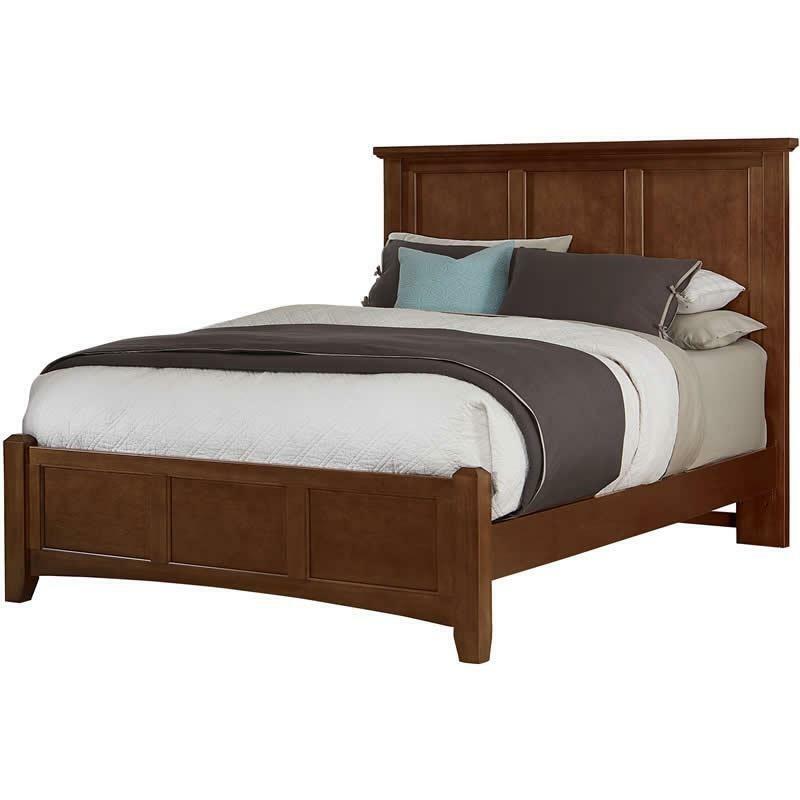 The Bonanza Queen Mansion Bed by Vaughan-Bassett features a mansion headboard with recessed panels, a low profile footboard and wood rails all in a cherry finish. 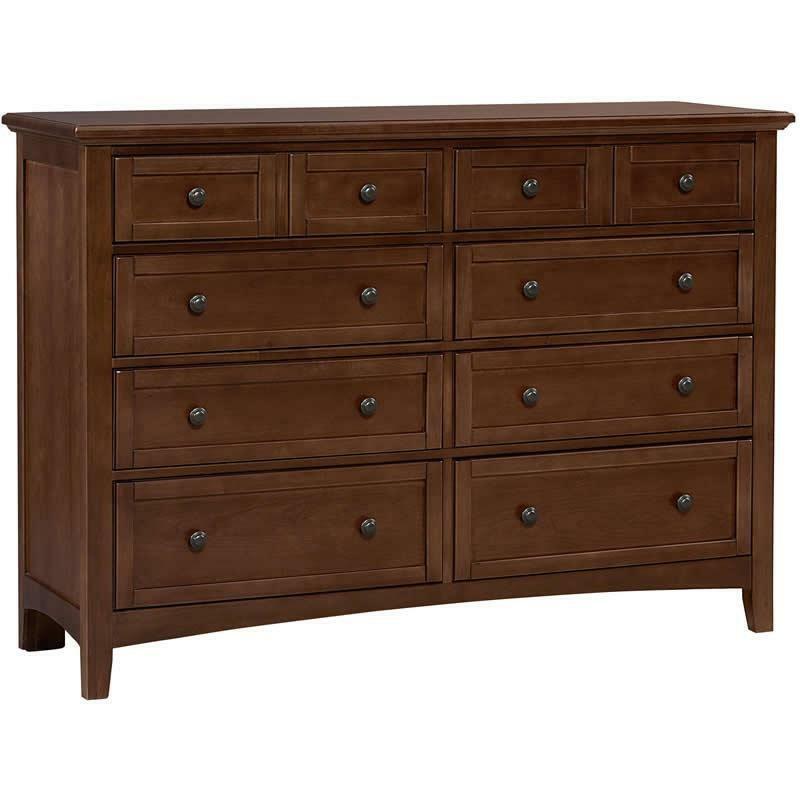 The Bonanza Chest by Vaughan-Bassett features five drawers and a cherry finish. 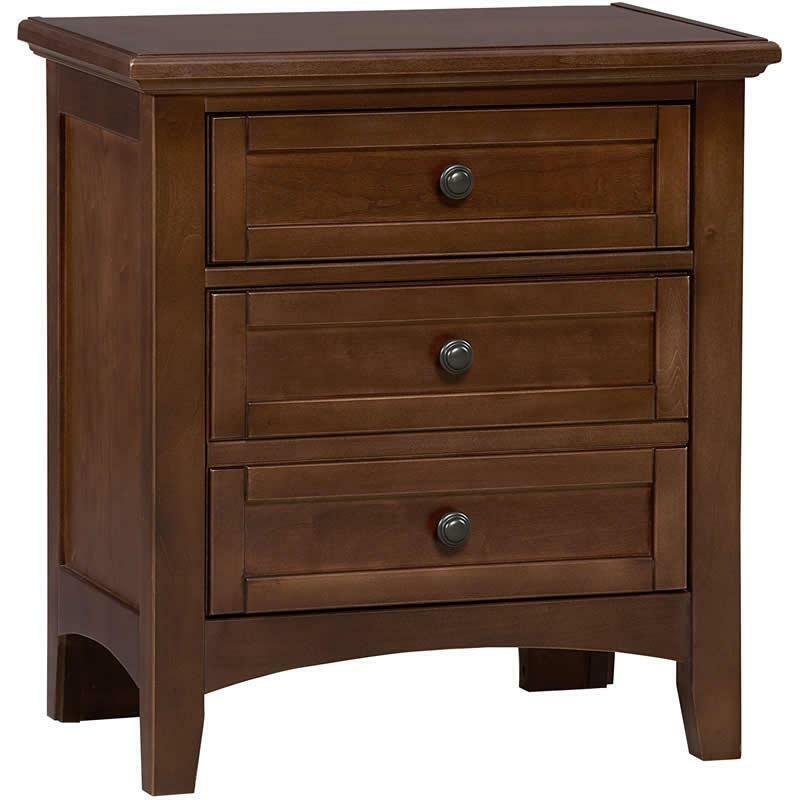 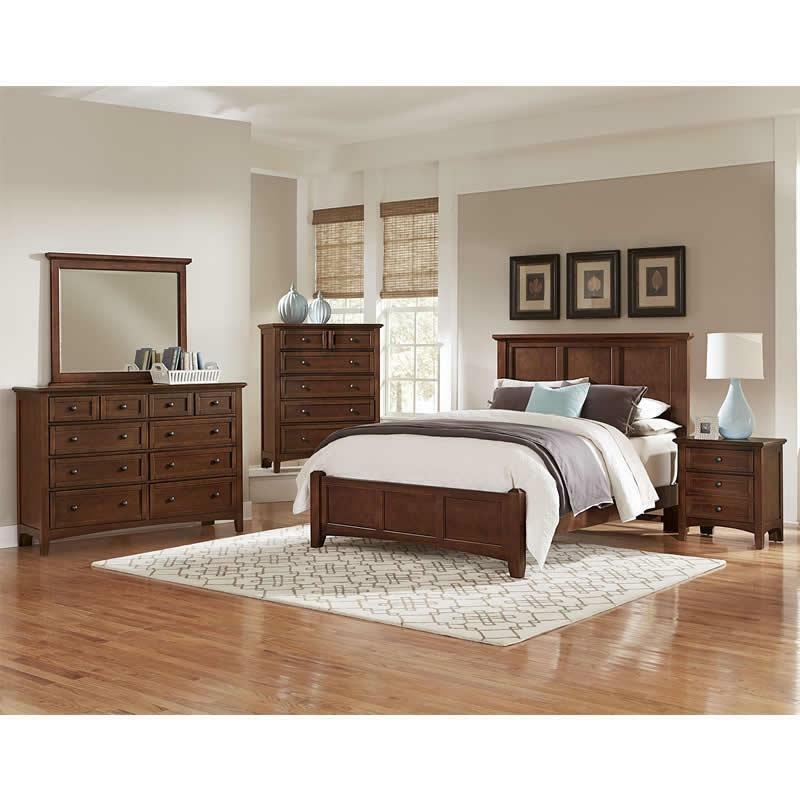 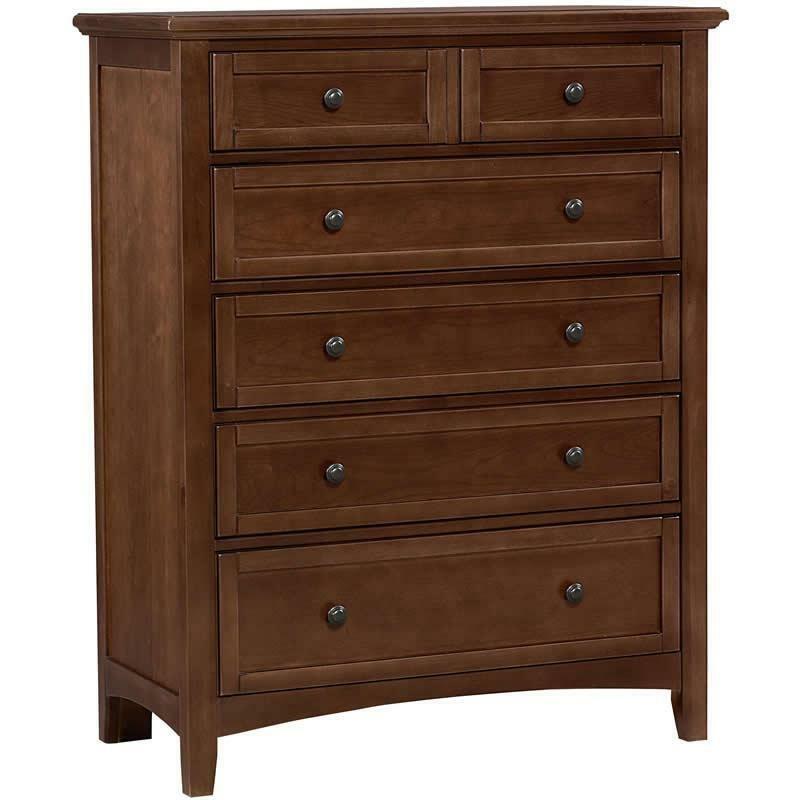 The Bonanza Nightstand by Vaughan-Bassett features two drawers and a cherry finish.